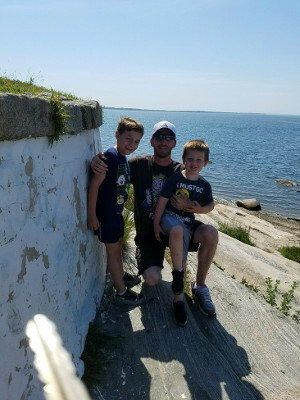 My name is Zach Maynard and the picture to the right is of me and 2 of my children. My third child is often camera shy sooooo no luck there! :) I have lived in Massachusetts my entire life and I absolutely love it here. Even the cold winters are fine by me! I have made this company as a means to live a good and honest life while being able to support my family. Everything I do is for my 3 boys and my Wife Christina. I often work in the field with my wife so you may even see out out cleaning your property! Thank you for taking the time to learn a little bit about what makes us A to Z. 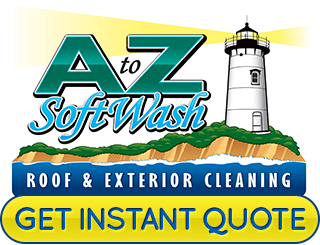 Selecting the right Cape Cod roof cleaning company to take care of your home or business all comes down to understanding a little about what we do here at A to Z Softwash. 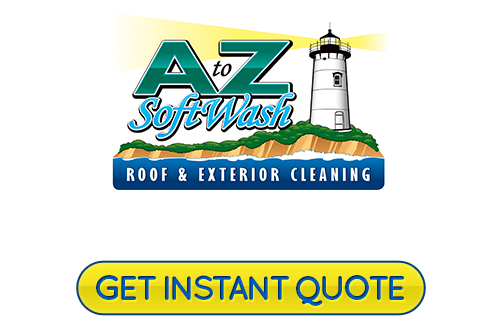 Established in 2012, we pride ourselves on being the reliable Cape Cod roof cleaning and pressure washing company you can call on for all of your exterior cleaning needs. We initially started as a roofing company but had so many requests for our expert cleaning work, the transition only seemed natural. We work with both residential and commercial clients and offer a variety of exterior cleaning services. The bottom line is that we want you to feel confident that you are getting the thorough and careful clean that you need. This is what our team of experts can provide for you in order to help you achieve the clean you deserve. If you would like to know more about our Cape Cod roof cleaning company, please call 508-209-7795 or complete our online request form.